In addition to hydro work, there will also be a number of road and water mains construction projects happening around the neighborhood. Locations and types of construction work are listed below. My office has been informed of a Toronto Hydro project taking place within Ward 39. The rebuilding project will involve upgrading overhead electrical cables and replacing hydro poles within the City’s public property allowance. 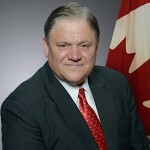 The boundaries of the project include Reidmount Avenue (North), Reidmount Avenue (East), Sheppard Avenue East (South) and Kennedy Road (West). Please take a look at the map below for the exact boundaries of the project. Front Doors are very vulnerable to anyone wishing to gain unlawful access to your home. Happy New Year may 2018 be healthy and prosperous for you and your family. I have been working to deliver on the promise of a Fundy Bay Skateboard Park and playground enhancements. In December, I hosted a public meeting with City staff and the design consultant where residents were invited to provide feedback on the proposed plans. The consultation phase is now complete. As communicated this past summer, the Steeles Avenue East Bridge Environmental Assessment has now been completed. While City of Toronto staff continues to work with Metrolinx to coordinate the implementation phase, Metrolinx will be leading the design and construction of this project. Construction is anticipated to occur between 2018 and 2021. There are no specific dates at this time. The community will receive regular updates about the project from the Councillor’s office, the City and Metrolinx. If you are interested in learning more about other area projects, the Finch Avenue East Grade Separation and the Finch SmartTrack Station are planning public consultations later this year. Dates are still to be determined. For more information, please visit www.smarttrack.to. *Timeline is subject to change. The City of Toronto will be cleaning and structurally re-lining the watermain in your area starting in the month of September. During this process, the City will also replace the City-owned portion of any substandard water service pipes. 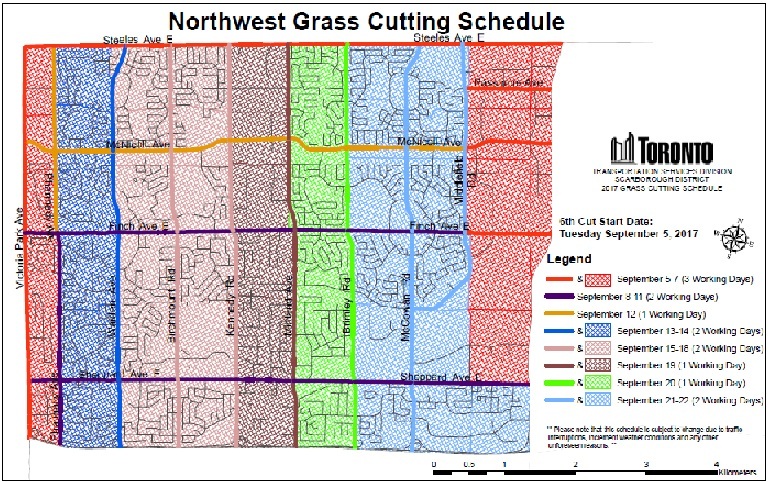 The City of Toronto is in the sixth phase of cutting the grass on public boulevards in our ward. From September 5th to September 22nd the cut will start from the eastern part of Victoria Park going east in our ward past Kennedy Road. Aecon Utilities has been in our ward performing construction for the purpose of upgrading Bell Canada infrastructure to support Fibre cable to your home. Aecon has been installing new or repairing old infrastructure on the municipal property outside your homes. Most of the work has been completed. Some work requires follow up. I am aware that not all sidewalks are level after some excavations. Please contact my office directly at (416) 392-1374 to report unlevel sidewalks or other disruptions to your property. I will help get it resolved. Always walk your bicycle across a roadway. Where possible, use the buddy system. Walk, don’t run across the road. Cross only under the direction of the guard. Many children in our communities must cross railway tracks daily. Ensure children are taught the only safe place to cross railway tracks is at a designated crossing. Scarborough Celebrates Canada Day festival, on Sunday July 1st, from 12:00pm to 9:00pm at Bridlewood Mall! 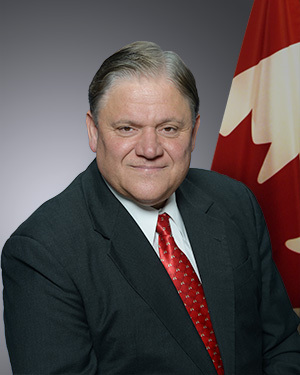 Ward 22 | Scarborough-Agincourt councillor @jimkarygiannis RIGHTLY advocated for a transit extension for northern and eastern Scarborough residents today during council.